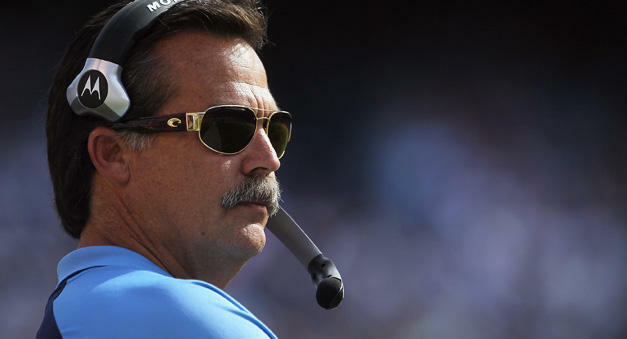 Breaking News: Jeff Fisher chooses the St. Louis Rams over the Miami Dolphins. According to Adam Schefter of ESPN, Jeff Fisher has agreed to be the next head coach for the St. Louis Rams. How does this effect the Miami Dolphins? Days ago, there were reports that Fisher was leaning towards the Miami Dolphins. In result, the Rams made a bigger push for the veteran head coach. St. Louis sent their rookie quarterback Sam Bradford to meet with Fisher to sweeten the cause for the head coach to choose their team. This is a huge sack for the Miami Dolphins. It came down to what team was more put together. Fisher saw a promising future with a No. 3 pick in this year’s draft, young quarterback Bradford, and his ability to choose his staff with the Rams. The Dolphins don’t have a franchise quarterback and questions throughout the staff. Fisher ultimately chose the Rams because they have a core for the future. The conflict with Miami’s decision in waiting for Fisher is losing candidates like Mike Mularkey, who has agreed to be the Jacksonville Jaguars next coach, and former Tampa Bay Buccaneers head coach Raheem Morris, who has decided to become the Washington Redskins defensive backs coach. There are coaches out there like Cincinnati Bengals defensive coordinator Mike Zimmer and Green Bay Packers offensive coordinator Joe Philbin. Miami has a lot of questions involving their near future and it isn’t looking too bright.